I recently made an Instagram account for the blog (@halcyonfuturefashion - go follow follow follow if you haven't already!). I'm using it as a way to showcase what's on and going on with the blog, as well as mini 'blog-bites' - smaller posts on a daily basis. 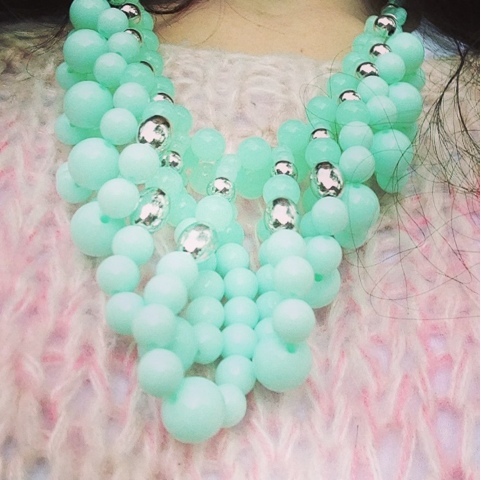 A mixed assortment from the last week..
Candy Colours - turquoise Lovisa necklace paired with a gorgeously soft candy floss pink Topshop knit. Mint Sorbet - Sally Hansen 'Mint Sorbet' on the nails, my new three band Sportsgirl ring and Sportsgirl turquoise tote in the background. Back on Black - University is back so I took this sneaky accessories snap while waiting for my philosophy lecture to start. Wearing my Lipstik cut out boots with tassels and 'tote-ing' (terrible pun!) 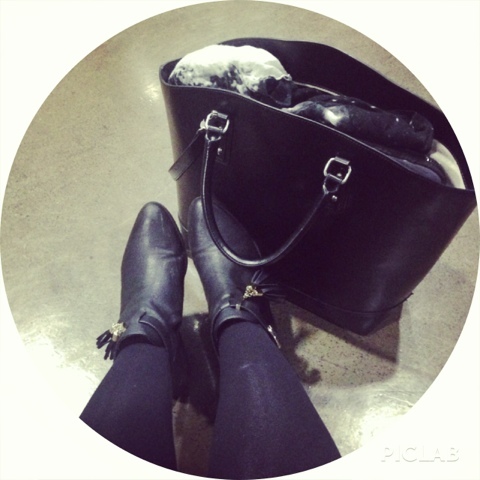 my Zara black leather bag. I bought it a few months ago for only $49.99 - and that was full price! 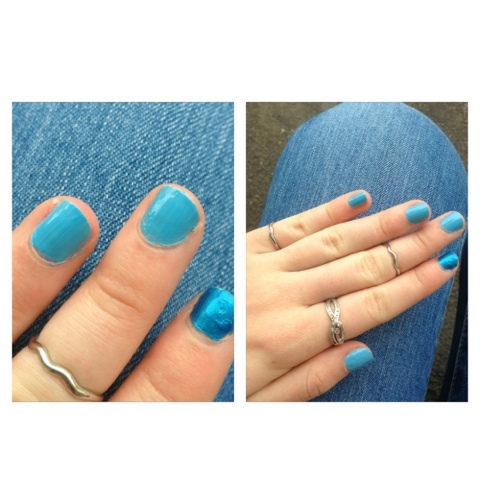 Feeling Blue - finally got round to repainting my chipped mint nails - the weather was unusually glorious with blue skies a-plenty, so I stole some inspiration from that. The sky blue is from Barry M cosmetics, a brand I don't think is available in Australia. I absolutely love this colour, so always buy myself a few bottles whenever I'm back in England. I still really like the effect of the accent nail, so chose a slightly darker and glossier blue from Rimmel London. 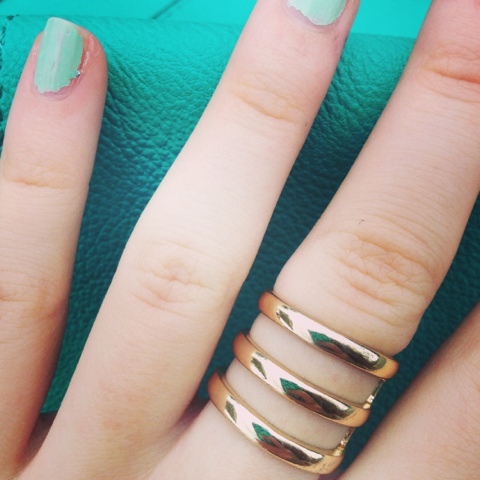 Also spy my Sportsgirl silver floating rings! Birthday Drinks - With it almost being my 19th birthday (three more sleeps!) I had to do the obligatory teen club outing. I won't say too much about the dress, as I want to do a special blog post on it, but it's from online store Harpers Dresses. 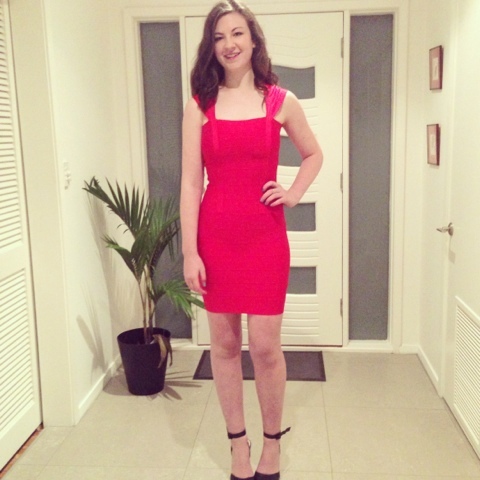 I felt amazing in it, and had a brilliant night too. 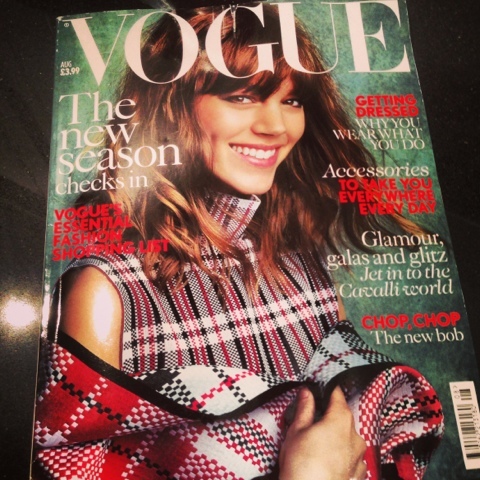 Finally - Arrived home from work to find my British Vogue had arrived! Turned out to be the perfect end to a very good day, with a few bits of news I'll hopefully share with you very soon!